In May 2016, Managing Director Luis Cuccatti informed players and staff of the Strikers they would no longer be receiving their pay by direct deposit, and instead checks were going to be issued – but they were late. Again. This was not the first time it had happened: in fact multiple sources within the team confirmed that over half the paychecks since January of this year were late in one way or another. Sometimes it was hours, other times it was days. Coupled with a loss of insurance for employees, staff, and players, it was clear that the team was suffering some serious financial and operational issues, and tightened their belts. Enter Bill Edwards, owner of the Tampa Bay Rowdies. Since taking over the team in late 2013, Edwards ownership has been the model for turning a franchise around in the NASL. He put significant investment both into the stadium and the roster through the purchase of practice fields and the conversion of the home pitch from the lumpy, soggy mess that was thrown over the top of a baseball diamond, to the gorgeous field that full time staff members go to great lengths to maintain (including tarps, and helicopters). A giant 48 x18’ video display replaced the aging baseball scoreboard, still showing a faded logo from the recently ousted St. Pete Baseball Commission. The guts of the stadium saw significant upgrades and renovations. The team was definitely on the upswing off the pitch – but in the offices and locker room, there was upheaval. Despite this, the club soldiered on, finishing 7th, out of 10 overall in 2014. In 2015, they improved to 5th,out of 12, missing the playoffs by a mere two points in the combined table. They currently sit in 6th in a three-way tie with Miami and Ft. Lauderdale at 32 points. The team appears to be financially healthy, attendance is up just shy of 6,000 per match in a stadium that holds 8,200 ambitiously, and the region appears to be embracing them as a local attraction. The contrast to the Strikers could not be more profound. In mid-August 2016, the Board of Governors met in Atlanta for their normally scheduled meeting, and sources within the league confirmed that the then-recent financial turmoil in Oklahoma City and Ft. Lauderdale were the primary topics of discussion. Little was disclosed, as such proceedings are kept private, but multiple sources have confirmed that during this gathering, Bill Edwards unofficially proposed to the various members of the board of governors his intent to purchase the rival franchise in Ft. Lauderdale. This would not be the first time a single owner had ownership in multiple teams in the league; specifically, Traffic Sports owned both the Carolina Railhawks and the Ft. Lauderdale Strikers. However in 2014, USSF’s Professional League Standards (Section I [g] [iv]) state that “no owner may exercise control over more than one team in a division.” Yet behind the scenes, sources close to both teams say Edwards had been keeping the team afloat through loans that were later converted into transfer fees for players Victor Giro (known as “PC”), and former Rowdies keeper, Diego Restrepo. The details of that deal included a request from the Strikers for Rowdies midfielders Freddy Adu and or Junior Burgos – but were ultimately rejected and instead reduced to a simple cash transfer. High-ranking staff members from both teams were spotted at each other’s offices on multiple occasions, always behind closed doors, and sources close to the negotiations for the purchase of the team yielded figures: an offer of $1 million from the Edwards group. Added to the mix was former coach and fan favorite Günter Kronsteiner, who partnered with good friend Frank Stronach (of Gulfstream Park and FK Austria Vienna) with a competing bid. However negotiations broke off when the Brazilians set an asking price of $15 million for a team with no facilities, no stadium, and according to sources, no ownership of their own trademark. Lockhart, despite only costing the Strikers exactly $1 a year in rent, could not be upgraded in the same way Al Lang was, due to exhausting red tape dealing with the FAA, Schlitterbahn, and the City of Ft. Lauderdale; so to make the team more attractive, they were asked in July to move to the $70 million dollar taxpayer-funded Central Broward Regional Park for between $20,000 and $30,000 a year. As the Strikers swam in red ink, a deal was struck in principle. Sources within the team confirmed that the September 15th paychecks were late again, and to date, none of the Strikers have received their bonus for their Open Cup victories, but things were looking up. Both players and staff remained loyal to the badge, often working late hours for free to keep the storied franchise operational. There was hope that things were going to get better, and soon. Then, according to sources, the members of the Board of Governors rejected the notion of Edwards bid, and the first domino fell. On a cold and blustery November night in Hempstead NY, the Ottawa Fury fell 3-2 to the New York Cosmos. Almost immediately after the final whistle, the changes began. Having lost their head coach Marc Dos Santos to the USL Swope Park Rangers, the Fury added former Austin Aztex coach Paul Daglish as their new manager. On December 14th, seven of their starters did not have their contract renewed, three others were transferred to other teams in the league, but five players were resigned. 2016 was clearly going to be a rebuilding year for the franchise with such roster turnover. Yet all was not well between the team and the league. Sources report that high salaries, travel costs, and the difficulty of keeping both staff and roster intact from season to season had cast some doubt that the NASL model was the right fit for the franchise. In 2015, the team was asked to help keep the Atlanta Silverbacks afloat, spreading operational costs amongst the other 10 teams in the league. Recently, WRAL Sport’s Neil Morris reported that the Strikers had requested a subsidy from the league of between $1.25 million to $1.75 million to stay afloat for the remainder of the 2016 season, putting the Fury on the hook for anywhere from $104,166 to $145,833 of unexpected additional expenses, however other sources within have disputed these numbers, and whether a commitment has already been reached. This was on top of the reported $2 million dollars the team was losing each year. Twitter soon exploded with news of an imminent departure from the league at the conclusion of the 2016 season, with rumors pointing to USL as a likely destination. While the Ottawa Fury are currently in good standing with the NASL, they are reported to be amongst the four teams who have yet to post next season’s bond for operations. 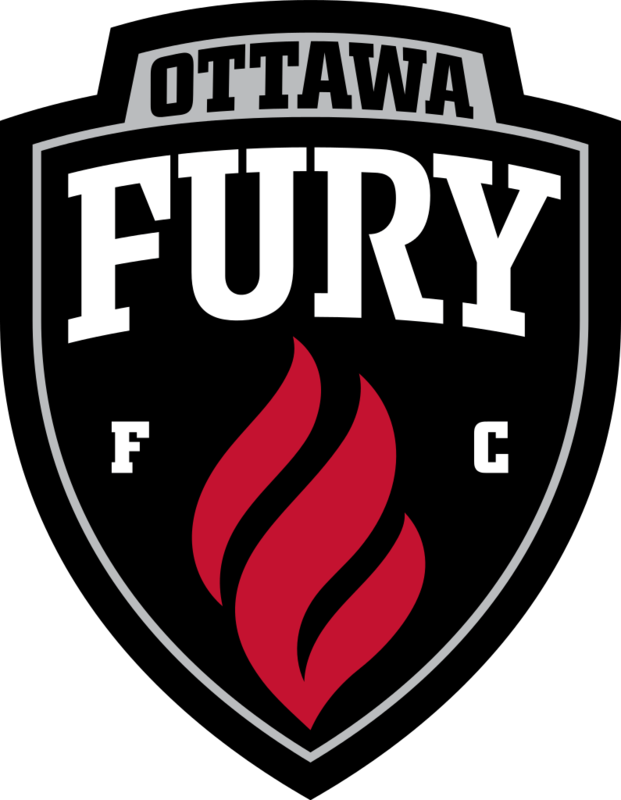 Earlier today, the Ours Is The Fury Podcast posted that Ottawa will be shuttering their academy program. Another domino falls. Few people know Bill Edwards well enough to say what he is thinking, although he is not shy to share his thoughts when he chooses to. It is easy to assume that the unofficial rejection by the members of the Board of Governors did not go over well with him. A shrewd businessman, Edwards is not without his charitable efforts, recently donating $15,000 towards pediatric cancer research following the team’s victory against the Carolina Railhawks, with future charitable pledges for home victories to follow. However the assistance of the Strikers could be viewed as both an altruistic and business venture for the team and the league. From Baywalk, (now Sundial), to the Treasure Island Tennis & Yacht Club, to the Mahaffey Theater, Edwards is known to buy property, invest in it, and turn a profit. Due to the nature of the NASL and the tight-lipped operation surrounding the Rowdies, it is not known if the team is amongst his holdings that fall into that category. Much like the Ottawa Fury though, questions in the league business model abound, and multiple sources outside the franchise have reported that at the conclusion of the 2016 season, the Tampa Bay Rowdies are expected to leave the NASL for the USL. When the NASL Board of Governors meets next Tuesday and Wednesday in Atlanta, neither the Rowdies nor the Fury are expected to be in attendance, but sources inside the league say the topic of financing the remainder of the Strikers season is on the agenda. The chain reaction has begun. Historically speaking, there has been no love lost between USL and the NASL. Once part of the same ownership group, there was a less than amicable split in 2010, excellently detailed in Kartik Krishnayer’s book, Soccerwarz. While many of the ownership groups from that unhappy schism have since moved on, there is an institutional disdain between the two leagues, often stoked by fans, leadership and management. Philosophically, they are two very different business models – with the NASL’s laissez-faire / Confederation of Teams concept, and the USL’s trifecta of developmental (MLS “2” teams, and PDL), conversion (NPSL to USL) and Business Format Franchise concepts. What has yet to be seen though is how either of them create a significant profit for owners. The expectation for lower division soccer is an endeavor of love, long term investment, and slow, steady growth yielding owners equity through the health of the league. However, when USL partnered with MLS, that all but went out the window. In less than two years, the USL has exploded from a nadir of 11 franchises in 2011 to the current 29 teams, despite losing an additional 8 teams in a span of six years. While the league is adding Reno 1868 FC in 2017 and Nashville SC in 2018, the Austin Aztex remained shuttered, and the Wilmington Hammerheads are expected to depart for greener pastures. To the outside observer, the volatility in USL would make them an unlikely candidate for D2 sanctioning, but sources close to the league and US Soccer say that the decision is not only imminent, but likely to happen in their favor. USL currently employs 45 full time staff, and in 2017, will roll out a significantly enhanced broadcast and digital production platform. With a very strong PDL and development system, the league has been able to create a pipeline for youth academy players to attend college, or move into amateur and ultimately professional competition that could potentially rival foreign academy structures, given time. Due to the legal concerns surrounding existing contracts and by-laws within the NASL, neither the Tampa Bay Rowdies nor the Ottawa Fury can officially comment positively that they will indeed make the switch – but the allure of lower operational costs, less travel due to regional rivals, reduced salaries, a robust development system and no league demands to keep existing franchises afloat, make USL an attractive alternative destination for the frustrated owners. However, USL is completely in the driver’s seat for admittance into the league, and could easily demand that each team match or exceed the reported $5 million dollar expansion fee that previous franchises have paid. In short, things are not good. Current USSF standards require a minimum of 12 teams in three time zones in order to be sanctioned for Division 2 status. Additional standards include ownership wealth and distribution, size of the market in which the teams play, and stadium considerations. With the addition of the San Francisco Deltas, the time zone issue becomes less important; however the departure of Minnesota United and the potential failure of the Rayo OKC franchise now put the Central time zone into question. Midfield Press’ Chris Kivlehan offers several solutions for this issue, but as of yet there is no known answer until the NASL announces acceptance of either another expansion team, or a renewal of the Rayo OKC for another year. The simple math is this: with the potential exodus of up to four teams, the NASL may very well lose their D2 status, but would still qualify for D3 status. The irony is that according to Sports Illustrated’s Brian Straus, the NASL has already applied for D1 status, with the intention of sharing the distinction with MLS with the argument for this move being that investors and sponsors alike view the major / minor distinction as a barrier against involvement with lower league teams. Additionally, there is a fear that unless a team is given a top level designation, media outlets, broadcast partners, and fans alike are less likely to support or partner with a team. The competition for sports dollars, especially in soccer, is expected to increase exponentially in the next few years, and the common language is that the D2 image is hurting the earning potential of the league, making it less stable and more susceptible to individual team failure. Some teams may see this potential demotion as the writing on the wall for the NASL. With increased costs over USL, and slow expansion, the future seems increasingly uncertain for the league. The loss of Minnesota United could arguably have been described as the first domino to fall, but their story speaks more to an individual club’s survival in the face of a threatened market takeover than the failure of the otherwise robust and thriving team. However their departure and subsequent absence creates a significant vacuum in the league’s structure. Additionally, this perceived instability impacts the optics for future expansion in areas such as Chicago and Los Angeles, simply because ownership groups may instead take a wait-and-see approach, or even consider USL as an alternative. Should another team such as the Carolina Railhawks or Indy 11 choose to jump ship, even the D3 sanctioning could come into question. Teams such as Edmonton, Jacksonville and the not-quite-dead Ft. Lauderdale are not natural fits either due to ownership concerns or geographical location. Upstart Puerto Rico may be better suited for the USL model, but after being burned in 2011, there would be questions about viability for the entire region. It is unknown if Rayo OKC or the Ft. Lauderdale Strikers will find new deep-pocketed majority investors and return next season, but the most likely scenario is that neither team will return to the pitch in 2017. If Minnesota United was the team that nobody wanted, the Cosmos are the team that nobody wants to compete against. A perfect fit for the NASL model, they have flourished by investing smartly in players, front office staff, and Gio Savarese. While the success on the field has not yielded positive results in the stands, it’s hard to argue that the storied franchise is in the category of obscurity. Love them or hate them, they are simply a worldwide brand that even MLS would covet, which is why a demotion to D3 would be devastating to that artfully-cultivated image that they currently employ. The Belmont stadium deal has lingered for far too long, and all indications point towards it going nowhere for even longer. If the mysteriously unknown owners of the team do not make an attempt to purchase, supplant and move into the cozy digs of the New York Red Bulls in MLS, then the most likely scenario is one where the Cosmos thank their few remaining loyal fans and simply fold the team to preserve the legacy. There is lingering animosity between NASL and USL, much of it originates with the discussion of the Cosmos, for some unknown reason. Several sources have indicated that even should they achieve the desired D2 status, USL would not pursue or accept a Cosmos bid into the league, citing ownership’s previous but non-specific behavior with the NASL Board of Governors. Many people would protest, but even the most home team loyal fans in the NASL know the truth of the new paradigm – without the New York Cosmos, the league changes significantly, and without D2 or D1 sanctioning along with a viable stadium, the survival of the New York Cosmos becomes less clear. What Can US Soccer Do? Right now the fate of lower division soccer is being debated in New York. As part of their annual State of the Union gathering, US Soccer is expected to meet both Thursday and Friday of this week, and amongst the participants, many of the NASL owners will be in attendance. Reliable sources have previously indicated to Midfield Press that discussions amongst the professional leagues would include both the stability of the NASL and a possible merging of interests with USL, although it is strongly indicated that the latter has no such desires. Regardless, our own Chris Kivlehan laid out a comprehensive view of what the ideal situation in lower division soccer would look like. As a form of further endorsement, the article seemed to have earned the ire of Ted Westervelt, which amongst soccer supporters on Twitter, is a sincere badge of honor. It is hard to argue that owners who have invested millions should be forced to unwillingly maintain a crumbling status quo. No matter what the outcome of this meeting, or the subsequent meetings that will most likely follow, the landscape of lower division soccer will be completely different in the next few months. The dismantling and demotion of NASL would be a devastating blow to not just the image of US Soccer, but ultimately the development of future generations of emerging players. Additionally, the volatility and ambitions of USL to achieve D2 status would create a tumultuous but somehow strangely stable arrangement for the pyramid than what NASL is currently providing. By partnering with MLS and expanding at a breakneck pace, USL has pushed not just the envelope of what an American D2 can look like, both good and bad, but the time line in which a league can both expand and contract without collapse. While not a single entity model, USL’s franchise model has outpaced both the NASL’s and MLS’s slow and deliberate orchestrations towards expansion, giving them all the leverage they need to set terms. Should the NASL fold, or relegate to D3, USL can simply pick and choose which markets they want to have, as well as the price for admission, leaving teams with the option of paying up or ceasing operations. The irony is that US Soccer needs to have either USL or NASL serve those smaller markets as well as the larger markets, to create a more diverse exposure of soccer philosophies and development. In a perfect scenario, a strong NASL and a strong USL complement each other even where they overlap, but unfortunately, the ideal scenario is not currently playing out. This promises to be the most dangerous and yet promising year in modern US soccer lower division history, making 2010’s soccer wars look like a mere skirmish. Now more than ever, US Soccer has to play a pivotal part in the restructuring of lower division soccer, and the fans must simply sit back and wait for the dust to settle. Let the dominoes fall where they will. Very insightful piece! Just to be clear, Part Two of the Future of US Club Soccer article is my personal ideal scenario. Part Three is just what I think is more likely to happen. Based on reactions, Part Three is closer to the ideal scenario to many other people, though. I have a hard time understanding the USL’s model. It’s not quite single entity, however it isn’t the independent structure of teams we see in Europe and the NASL. Can someone educate me on this? If it isn’t single entity, theoretically, could a club like Tampa Bay or Cosmos join the USL and maintain their status quo? Or do they have to give up image rights, agree to a salary structure, etc? As stated by ownership and MLS many, many times the Red Bulls are not for sale. The Cosmos had their chance to go to MLS but decided to go the NASL route instead. The next 2 weeks will probably determine if the NASL and by default the Cosmos are even in existence next year. If the Cosmos come in with an offer above the valuation and are willing to play by MLS rules, I’m sure Red Bull/MLS listen. They had a dispute with Saputo before Montreal got in, and they let him in once he showed MLS enough money. It will just take 8-10x what Saputo paid then for Don Garber to start talking about how wonderful and historic it is to finally have the Cosmos in MLS. Question is does the Cosmos money man have the stomach for that? Theoretically less expensive than the Elmont Crossings project which has/had a $400M budget for the total site.